SO, what's up at CBS? Check out below for upcoming CBS events! Follow our events on our FB Page! 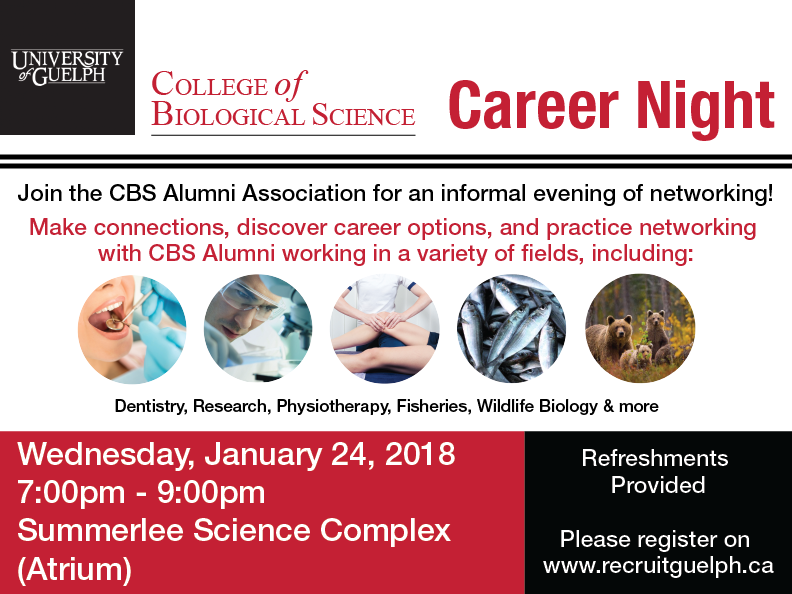 You're invited to the CBS Career Night event on Jan 24th! 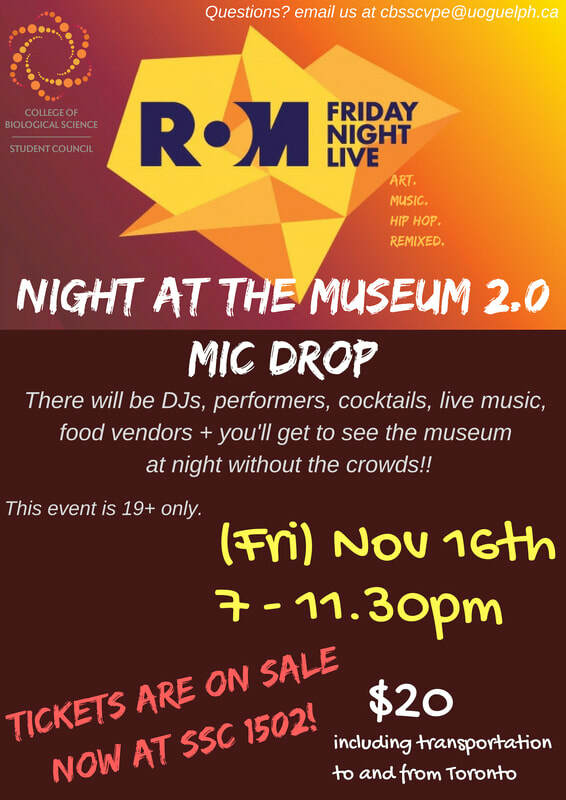 ​Come join us for an evening networking event and connect with many U of G alumni to explore your future career! 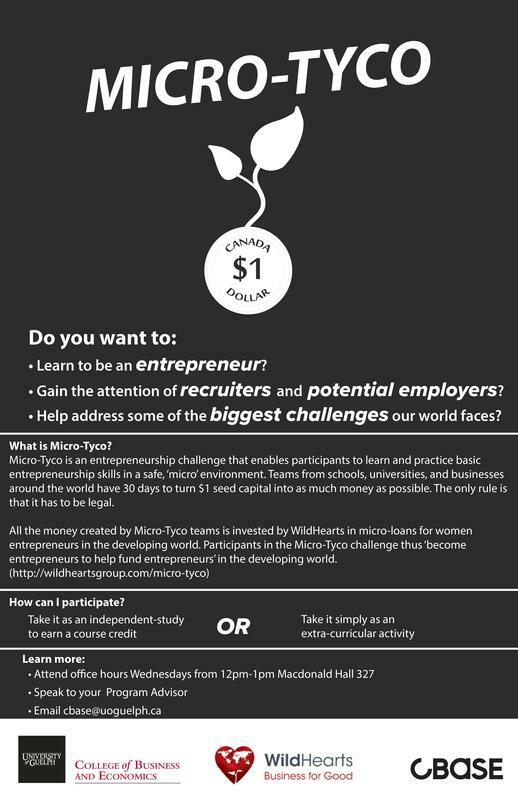 The basics: Micro Tyco is a one month challenge where students are given one month and one dollar to creatively (and ethically/legally!) raise as much money as possible. All profits are then donated back to women in developing nations in the form of micro-loans to start their own projects. It’s entrepreneurs helping entrepreneurs. This is a worldwide competition that will happen in February 2018 meaning UofG students will be in a cohort of rockstar students taking this challenge across the globe. And, I might add, being looked upon very favorably by big corporate recruiters such as Deloitte. The options: CBaSE and CBE are committed to supporting students with this challenge. We will run four labs in January/February on how to start a business and run this challenge. Additionally, in February, we will have a crack-team of mentors, entrepreneurs and resources available for students participating in the challenge. In March, we will host pitch-training and a pitch presentation for students to tell their story. Students have the option to participate as an extra-curricular or for course-credit (BUS4450). Our only requirement is that if students are participating as an extra-curricular, they need to sign-up in teams of 2-5 students. Here is a link to the registration page. BUS*4450 would be considered a free elective in the BSc degree. There are still spots in the course and you only require 10.00 credits in order to enroll in the course. Are you ready to transition into the holidays? Need a bit of stress-busting before final exams? 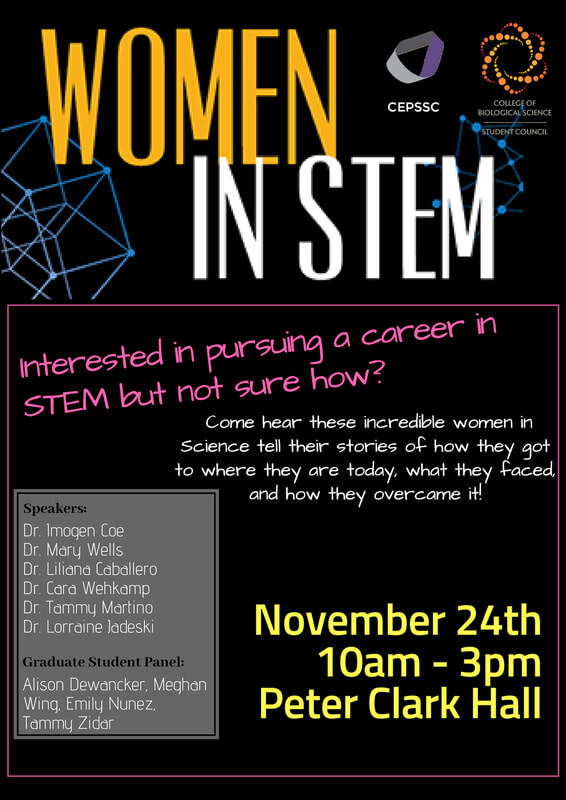 This is the event for you! - End of semester Merchandise Sale! Visit Health Canada in Ottawa! The itinerary can be obtained from our office, or a digital copy can be sent to you as well. 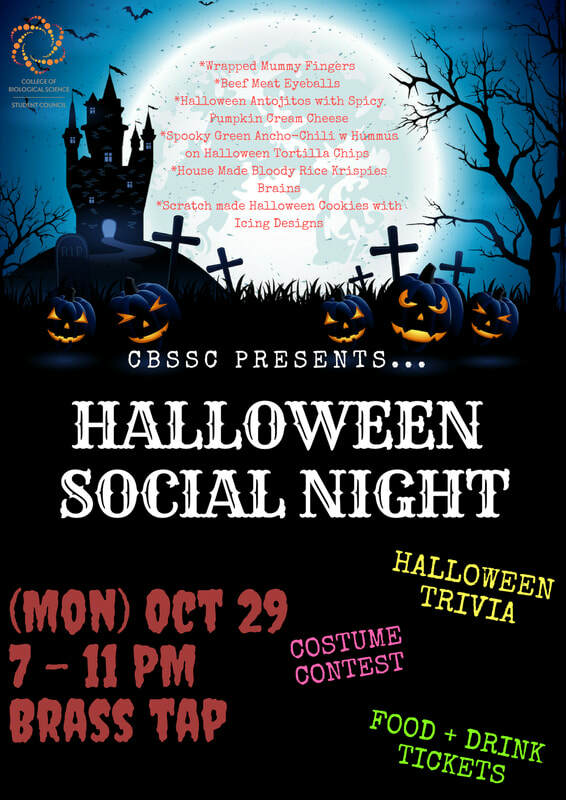 Email cbssc@uoguelph.ca to get it! Back by popular demand, CBS is organizing a trip to Ottawa between Friday, October 27th – Sunday, October 29th to provide its students with a unique opportunity to visit Health Canada and tour their various research facilities and meet with the professionals! The Ottawa Laboratory (Carling) performs services relating to the quality of food or food-related products across the food chain. These range from microbiology and chemistry services focussing on fertilizer, animal feed and food products to innovative research in DNA-based techniques such as whole genome sequencing methods and software for understanding food-borne bacteria. - There are limited spots and will be given on a first-come, first serve basis; priority will be given to upper year students. An Info Session will be held on Oct 12, 2017 from 7-9pm in SSC2315 to discuss the trip and answer any questions you may have. To register and secure your spot, please submit your completed registration and waiver forms along with your $20, to the CBS Student Council office SSC 1502. 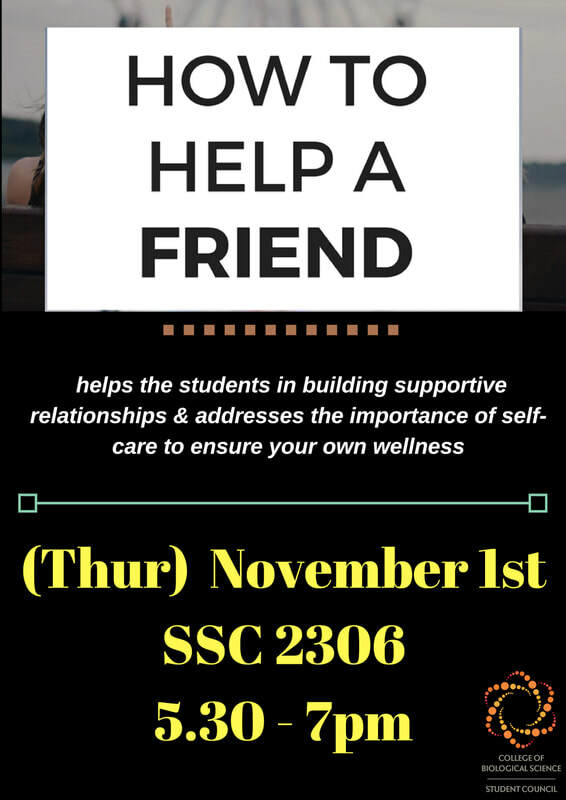 Oct 11 at 7pm in SSC Atrium! If you do not have any dietary restriction, please put N/A.